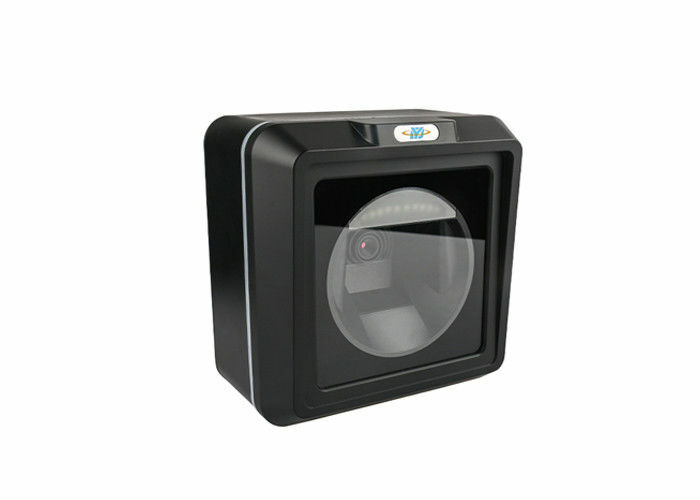 DP8300 is a high performance fixed mount scanner with leading CMOS image recognition technology and intelligent image recognition system. 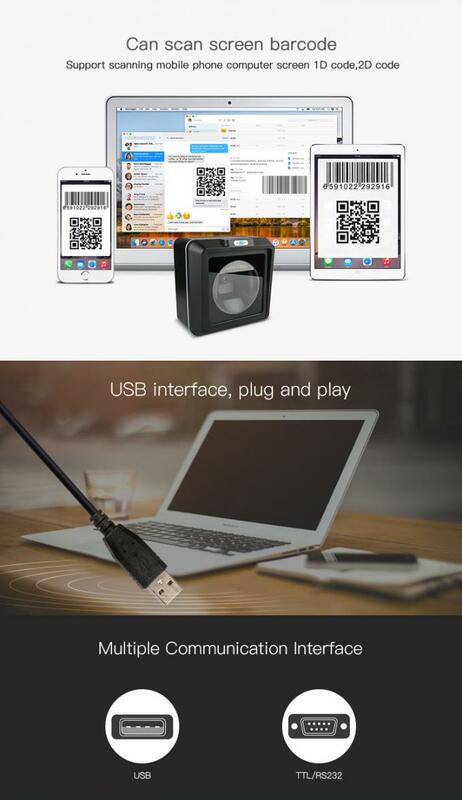 It can scan universal 1D 2D codes, read the paper, goods, screens, other media barcodes. 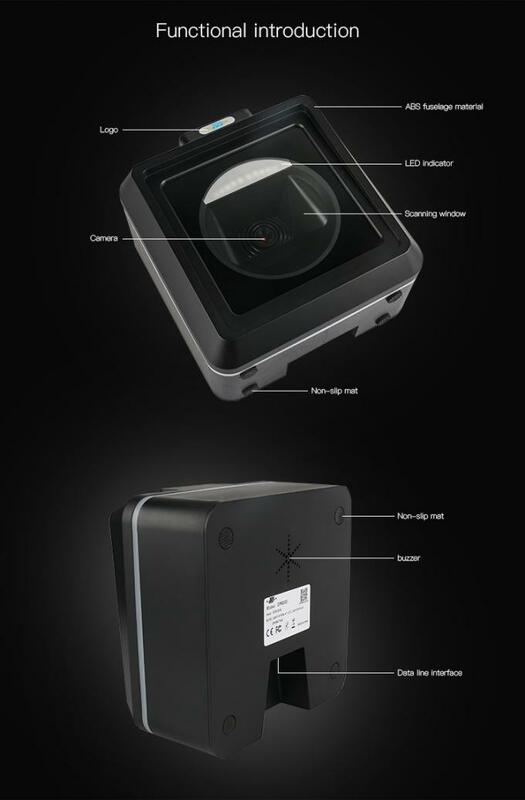 Compact design, beautiful appearance with efficient reading performance, provide users with excellent experience. 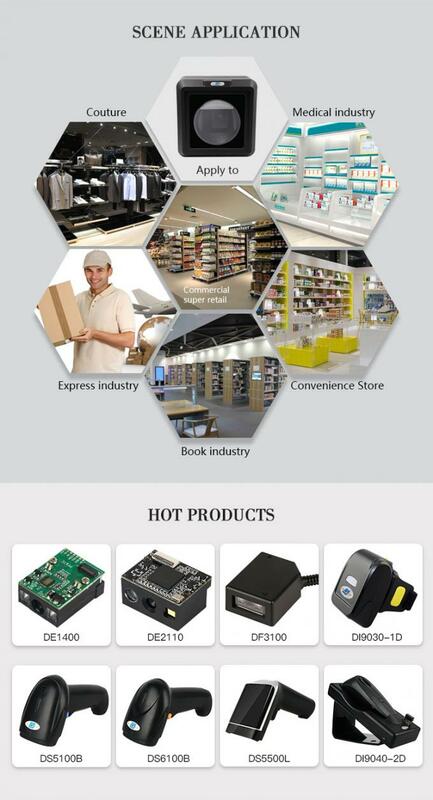 ☆ Image reading barcodes,read screen,paper,printing,black and white,color and other types of barcodes easily. ☆ 1 million pixels,high speed moving reading. ☆ Highly sensitive large window design, widely used in mobile payment ,supermarket ,chain stores. Symbologies 1D:UPC-A,UPC-E,EAN-8,EAN-13,Code 128, GS1-128, Code 39,Code 93,Code 11,Interleaved 2 of 5,matrix 2of 5,industrial 2 of 5(IATA) Codabar(NW-7),MSI Plessey ,RSS, China Post etc. We accept PayPal ,T /T,Western Union. We will choose the fast,safe,and cost saving way to send goods to you.